A muscle cramp is a painful, prolonged muscle spasm. The hamstring muscles, along with the quadriceps, calves, feet, hands, and abdominals are the most common muscle groups affected by cramps. It is estimated that 95% of the populations will have a cramp at some time during their life, with the risk of cramping increasing with age. A muscle cramp may occur during activity but can also occur when you are sitting or even sleeping. Cramps can be a minor annoyance or extremely painful and can cause you to immediately stop whatever you are doing until the pain passes. A cramp can involve the entire muscle, only part of it, or the group of muscles that act together (i.e. the hamstring group of muscles; semitendinosus, biceps femoris, and semimembranosus). The hamstring muscles are long muscles that cross 2 joints, your hip and knee, and work by contracting and expanding. The contraction and expansion motion of the hamstring muscles is determined by the signals that are sent to the brain. When a muscle contracts involuntarily (i.e. the signal for the muscle to contract overcomes the signal for it to expand, or relax) it can result in a hamstring muscle cramp. In some cases, a severe muscle cramp may not release on its own and stretching it manually may be necessary to help relax and lengthen the contracted muscle. If the connective tissue attached to the muscle is weak or the cramp is particularly severe, it may cause the tendons or ligaments to strain or tear. For someone with weak bone structure (i.e. severe osteoporosis), muscle cramps have even been known to cause bone fractures. Vigorous activity - the cramp may occur during the activity or several hours later. Muscle fatigue from overexerting or repetitive use of the muscle, or from sitting in an awkward position. Lactic acid build up when overloading or overexerting the muscle. 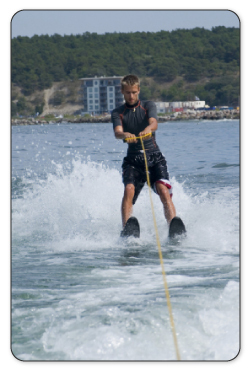 Low electrolyte levels or dehydration - Muscles require water, calcium, magnesium, and potassium to function properly. A muscle that has been overstretched or held in one position for a long time. New exercises that involve unused muscles. Inadequate blood supply caused by narrowing of the arteries (atherosclerosis). 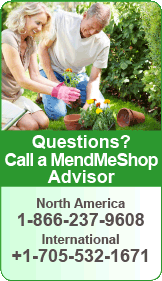 Multiple sclerosis, muscular dystrophy, other nervous system diseases, or spinal cord damage. 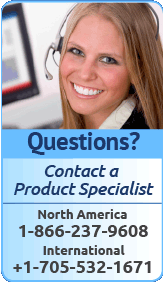 Disease such as diabetes, kidney disease, anemia, or thyroid abnormalities. A sudden burst of pain, often severe, that stops after a few seconds to a few minutes. A bulge in the cramped muscle that will feel very hard and tense. Tenderness and swelling that may last for several days. Night time wakening if the cramps occur during sleep (nocturnal cramps). Hamstring spasms are frustrating to live with especially when they occur during activity and sports. Keeping your body hydrated and replacing electrolytes during and following activities are positive steps toward preventing spasms. When a spasm occurs, there are home treatments you can use to relax the muscle and reduce the spasm. Proper treatment will get you back to regular activities sooner, stop your pain, and reduce the risk of hamstring muscle injury and further spasm. 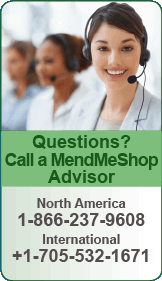 If you are getting spasms due to a pinched nerve from a spinal injury, you really need to see your physician. You might be able to use conservative treatment methods to help reduce the frequency or severity of such spasms, but the underlying cause will remain without assistance from a physician or surgeon. Outside of change in diet, the remaining conservative treatments focus on heat (this temporarily increases flexibility and elongates muscles, tendons and ligament), an increase in blood flow and stretches. Cold compression IS NOT a good method to deal with hamstring muscle cramps, but can be used if you suffer re-injury of your hamstring due to the cramps or other activities. 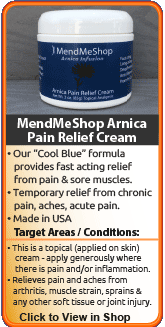 Anytime when your hamstring is swollen, inflamed or painful without experiencing the cramps, you should be using cold. The rest of the time, when you are suffering from hamstring muscle cramps, you should be using Deep Tissue Regeneration Therapy to relieve your hamstring muscle cramps. Promoting blood flow within a muscle or soft tissue injury to help improve muscle function and/or heal muscle strians/tears is a concept that has been utilized for centuries. This is where the focus has to be if you are seeking long-term improvement. This results in relaxation of the vessel walls. The vessels then gently expand, allowing for more nutrient rich blood flow along with extra oxygen and antibodies to reach cramped muscles. Plus, the enhanced blood flow helps in flushing cell waste and fluid build-up from the muscle - further enhancing the ability of the body to heal. As mentioned above, standard heating pads and heated gel packs accomplish the exact opposite of your goals. They direct blood flow to the skin, not to the injured muscles and soft tissues you are trying to aid. Electromagnetic energy is a form of energy will easily penetrate through clothing, skin, and fatty tissues... directly into your cramped muscles and soft tissues - deep within your leg. After the energy absorbs into hamstring muscles, the metabolic response then kick starts the repair and rebuilding process. More blood now begins to flow effectively to cramping muscles deep within the body. Cramped muscles are typically starved for nutrients - and need the extra blood flow to recover as it is through the blood the body carries the oxygen, nutrients, and antibodies needed for proper and long-term healing. Research is continuing and soon, much of North America will know what the Far East and Europe has known for a long time; electromagnetic energy provides a wide range of health benefits for those not only suffering from hamstring spasms/cramps, but for any muscle injuries or ailments such as bursitis, tendinitis, Tenosynovitis, , tennis elbow, etc.. 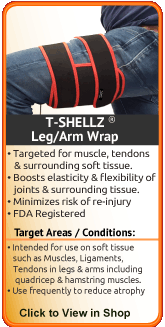 Deep heat and increased blood flow can best be achieved at home via use of the T•Shellz Wrap®. Using a Leg T•Shellz Wrap® on your hamstring stimulates blood flow on a deep tissue level within the hamstring muscle - blood flow that relaxes the spasming muscle to end the cramping cycle. Use of this device results in a dramatic increase in blood flow to the injured tissues located deeper within the body - all in a non-invasive manner. Have you seen what happens when you add water to a flower wilted from drought? In essence, your injured muscle is much like a "wilted" flower; your body wants to heal its injury, but needs lots of nutrients to do it. Blood brings new life to your cells by delivering healing nutrients and oxygen that are vital to your tissue. In addition, the blood carries away toxins and cellular waste cleaning the area and healing it faster. Without a good supply of blood, your cramping hamstring muscle simply won't get the nutrients it needs and will continue to cramp and spasm. Using the T-Shell Wrap is truly a unique experience. Within moments of applying a treatment to your spasming hamstring, you can feel the healing sensation due to the increase in blood flow deep within the area. During a treatment, and for quite some time after you finish, the treated area will feel relaxed and less painful. It's a very soothing sensation and extremely effective. 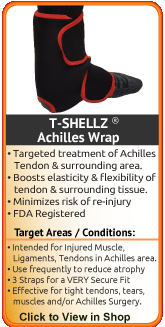 If you are experiencing muscle spasms, the T•Shellz Wrap® will introduce heat and increased blood circulation to the muscle - exactly what is needed to stop a spasming muscle. 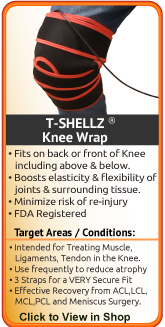 If you have injured your hamstring muscles or tendons or other soft tissue in your leg, then the T•Shellz Wrap® will accelerate your body's healing rate via increased blood circulation. If you are encountering hamstring spasms at work , the T•Shellz Wrap® will help relax your hamstring prior to work and after a day at the job. This will help reduces the frequency or risk of muscle spasms. T•Shellz Wraps contain a unique, flexible Carbon Fiber Energy Pad which is flexible and will shape to conform to your body. This Energy Pad emits a uniform wave of perfectly safe electromagnetic energy over its entire surface. This energy travels deep inside to the muscles and tendons in your leg, stimulating blood flow your own body needs to feed your starved muscles. It is the electromagnetic energy that is crucial to the healing process. Have you ever wondered by an athlete can return to activity after 3 or 4 weeks following a hamstring injury - while your average person takes much longer to return back to normal? The secret isn't really that much of a secret - it involves consistent treatments (meaning multiple times a day) using a diathermy treatment like the T•Shellz Wrap® to stimulate blood flow in and around soft tissue. Often, athletes have the luxury of using in-house therapy facilities many times per day. The most common question we receive from individuals prior to purchasing is - how many times a day should I be using my T•Shellz Wraps and when should I be using them? While treatment plans will differ for each individual and their specific condition, there are general guidelines that should be adhered to.